Rachel Von | The Journal Gazette The TinCaps' Ben Sheckler catches the ball from the catcher during the second inning against the LumberKings on Monday at Parkview Field. The TinCaps' strong bullpen proved themselves once again in a 4-2 win over the Clinton LumberKings on Monday. Left-hander Ben Sheckler got bumped into a starting pitcher role because of Mason Thompson's injury last week. In his three innings, Sheckler gave up two runs, but his bullpen backed him up. Austin Smith got the win, pitching one inning, giving up one hit and lowering his ERA to 2.08. Smith, Caleb Boushley, Evan Miller and Travis Radke combined for six scoreless innings and six strikeouts. "Exactly what we expect out of them," Sheckler said of his relievers. Smith got hit on the back side of his arm on a line drive, which bounced to Gabriel Arias for the final out of the fourth inning. Radke got his 12th save of the season, which ties him for third most in the Midwest League. TinCaps relievers have posted a 3.06 ERA over the last 79 games since April 25. Committing zero errors certainly aided the TinCap pitchers. 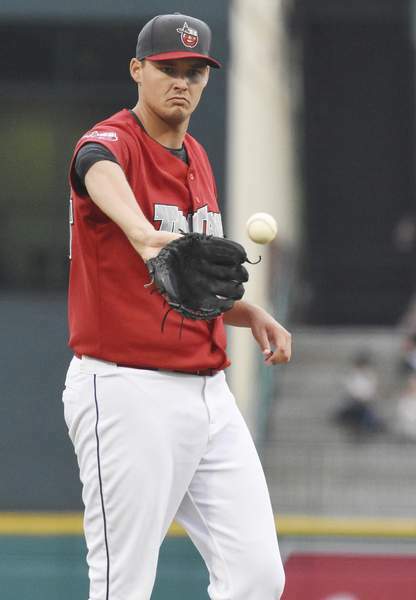 TinCaps manager Anthony Contreras said the errors being made were affecting his pitchers. "This team game can be very stressful, but you got to understand if we don't make the plays, it affects our pitching staff," Contreras said. A really solid win at the end of the homestand might just be what the TinCaps need to get back on track.